Blinds.com is the world's #1 online retailer for blinds and window coverings. Find huge discounts on top window covering brands when you use a Blinds. For more than 160 years, WMF has been designing and producing high quality German kitchenware respected by consumers worldwide. Levi's Cash Back Get 30% off sitewide with code. Go to deal now! 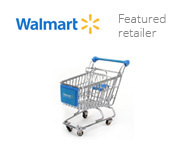 Walmart Cash Back Shop the Savings Center to get the best deals at Walmart.com! Go to deal now! Sam's Club Cash Back Make room for awesome! Shop over $13,500 in instant savings on amazing items. 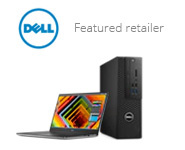 Only on SamsClub.com. Ends May 7th Go to deal now! Best Buy Cash Back Get 2% cash back on Apple products. Go to deal now! Microsoft Store Cash Back $200 off Surface Book Go to deal now! Senreve Cash Back Gently Handled Products up to 60% off the retail price at Senreve.com. Plus, Free Shipping & Returns Go to deal now!